5 Reasons for Your Company to Go Green! The Green Initiative across the globe has been created in an effort to reduce greenhouse emissions and provide a safer, more environmentally friendly future for our the generations to come. Smog, energy over-consumption, water waste, discarded materials, and other pollutants are some of the common by-products of the manufacturing, industrial, and construction industries. In many cases, these by-products are tough to avoid 100%. Almost all manufacturing processes will have them. That does not mean that corporations cannot do more to reduce these wastes as much as possible, and many of them have. However, going green can offer benefits to your company besides saving the environment. In this post, we will look at five of the biggest reasons you and your company should Go Green! Utilizing recyclable and reusable equipment and materials in your everyday work processes not only goes into helping the environment as a whole but can offer benefits to your company as well. For example, Using Panel Built’s wall panel system, a modular office space can be reconfigured and adapted at a later date. So, in the future, if a company decides it needs to add on to their inplant office or change the layout altogether, they will not have to tear down the structure and start from new. The ability to reuse these panels not only keeps waste out of landfills but provides the company with a cost-saving solution to their new space needs. Additionally, these office systems can be manufactured completely pre-assembled, making them easily portable from one location to another. Rather than knocking down a stick-built office and building another across the facility, these buildings can easily be dis-anchored and moved to their new location. Going along with the Flexibility “Going Green” can provide, implementing green processes and amenities can lower a facility’s operational costs as a whole. The best example of this is Walmart, Inc. Starting in 2005, the multinational retail giant began their green initiative that would push to increase the fuel efficiency in Walmart’s truck fleet, cut their greenhouse gas emissions, reduce energy usage, and leftover waste from packaging and expired products. These green initiatives provide Walmart with costs savings of hundreds of millions of dollars a year through waste reduction and recycling. Even more incredibly, Walmart’s current goal is to be run on 100% renewable energy. 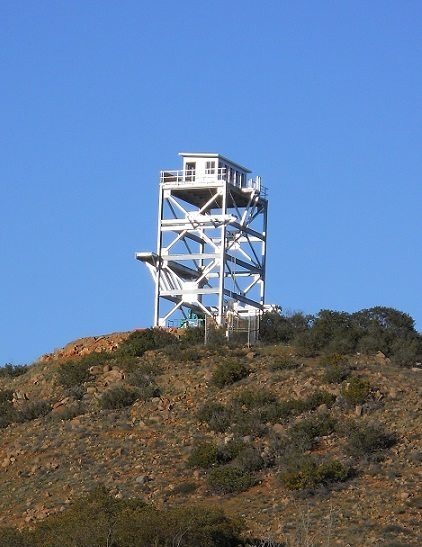 Currently, they utilize solar, wind, and fuel cells to accomplish this with 335 renewable energy projects globally. These projects help provide the 25% of the total electricity for all of Walmart’s global electricity consumption. These renewable energy sources allow Walmart to not only save money on their bottom line but also offer a reliable and clean way to do it. Increasing the overall efficiency of your company is a great place to start when going green. Looking at a company’s work processes, efficiency simply boils down to making the best use of their resources. Essentially getting the most “bang for your buck.” The main idea is the same as the one Walmart’s green push: finding the most effective way to deliver their product to their customer and nothing else. For example, one of their biggest concerns was overpackaging. While the number one goal of packaging is to ensure the product is protected, they were aiming to reduce the amount of material needed to accomplish this to an absolute minimum. In this way, companies create the most efficient packaging for their products, saving them money and reducing the amount of waste as well. One of the biggest goals associated with “Going Green” is of course sustainability. Moving towards renewable energy sources like solar panels, wind, and others allow companies to operate their day to day needs while offering certainty for the future. Going green helps provide companies with economic, environmental, and even social sustainability. For the environment, obviously moving away from nonrenewable resources (i.e. fossil fuels) is the first step in this process. With a limited supply, these sources of will eventually diminish and no longer be a viable option. However, wind turbines, solar panels, biomass, and hydro energy are all growing as reputable alternatives to fossil fuels. The quicker more companies adopt these renewable energy sources the less reliant on this fixed resource society will be. By utilizing these energy alternatives, Going Green allows for economic sustainability with a reliable energy source powering the company. A larger adoption of these renewable energies as a whole would theoretically allow for more stabilized energy prices in the future in comparison to fossil fuels. And finally, it is important to Go Green in an effort to reduce the overall impact on our environment. For Panel Built, we have installed solar panels at two of our manufacturing facilities in an effort to pull as much of our power from Green sources as possible. 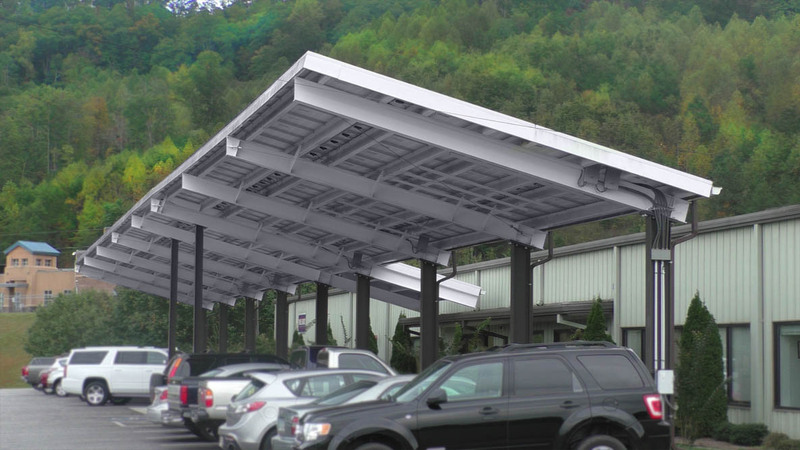 The canopy system that sits over our parking lot not only holds solar panels, but we designed it and erected it ourselves! Additionally, Panel Built, Inc.’ modular construction method minimizes the number of wasted materials in comparison to stick built construction. Estimates range from 15%-5% on the number of materials are wasted in traditional construction environment with the majority of these being wood products, drywall, plasters, and shingles. However, Modular Constructions factory-like work environment allows for precision manufacturing and minimal waste overall. Companies and governments around the world have made a major push in the last couple of years to switch over to find greener ways of living and operating. With all the different benefits seen in reusing, recycling, and renewable energy more and more companies are looking to join the crowd to help their bottom lines as much as helping the environment. Leaps in renewable energy and manufacturing techniques has offered alternatives to the norm that provides added benefits beyond just being good for the environment. So if your company is looking for a good way to invest in it’s own future, Green is absolutely the way to go! 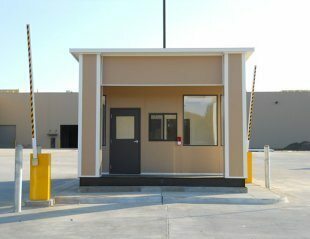 For more info on our modular constructed buildings, or to get a quote on your next building project, give us a call at 800.636.3873 or send us an email at info@panelbuilt.com. We welcome all projects, big or small!